TWO new zines! 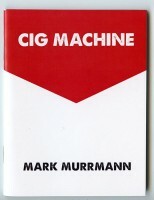 Cig Machine and White Glove Test are the newest additions to the City Slang zine series. Sample images and ordering below. •Order both for $15ppd (US/CAN; $18 elsewhere). I also still have a limited number of All Good Things left. If you missed that, you can get all three for $20ppd (US; $25 CAN; $30 world). You can use the PayPal button below to order. 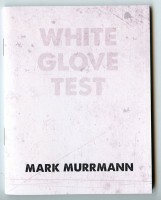 If it gives you any trouble, you can PayPal me directly: mark (at) ickibod.com, or Venmo to markmurrmann. Be sure to include your address! If none of these ordering options are what you're looking for, just drop me a line. Also, checks/money order/cash works too! Just email. I'm easy.